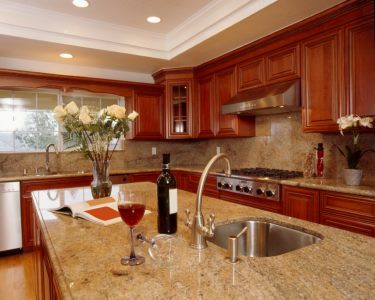 Handyman Services offers a large selection of marble and granite counter tops. Whether you want to update your counter tops with beautiful, elegant granite or prefer to install gleaming marble floors or stairs in your home, Handyman Services's skilled craftsmen have the experience in quality marble and granite installations at a fair price. We'll work with you each step of the way, from choosing the stone that best suites your taste and needs, to choosing colors to compliment your home's existing furnishings. Put our experience, versatility and creativity to work to make your dreams become reality. The stone experts at Handyman Services specialize in the installation of natural granite, marble and quartz. We have earned our reputation, one satisfied customer at a time, as one of the area's finest natural stone installation experts. Bringing over 20 years of experience, our dependable installation craftsmen will provide you with top quality products and stone craftsmanship that is second to none. We happily work with our customers to provide the quality granite products and craftsmanship that they are searching for. Give us an idea of what you are looking for, and we'll work with you to solidify your vision, choose unique styles and colors, and deliver a beautiful stone product that exceeds your expectations. Whether a new stone shower stall or an expertly custom designed fireplace, the end result is always spectacular when you choose Handyman Services. Our high quality products always come with a satisfaction guarantee.